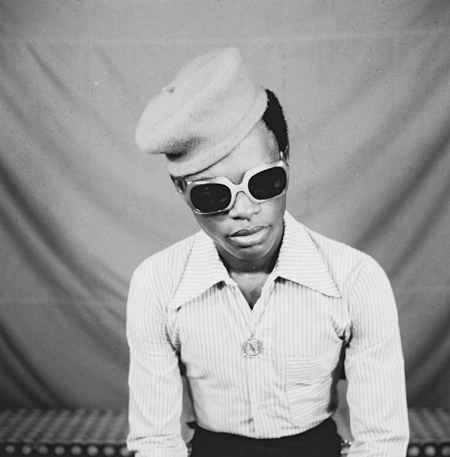 Samuel Fosso has been taking photographs in the Central African Republic since the late 60s. 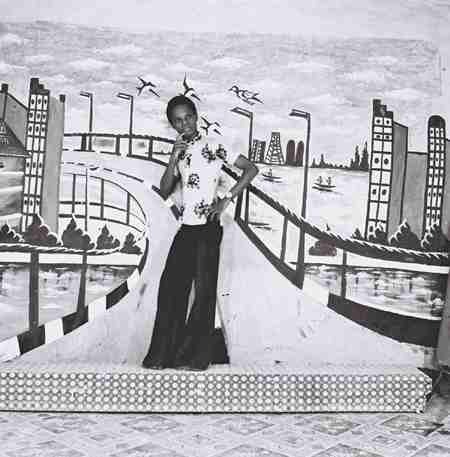 He was a refugee during the Biafran war and at eight years old learned photography to support himself. After taking pictures for passports by day, Fosso used leftover exposures to send images of himself home to his family so they would know he was safe. At the age of 13 he took up portrait photography as a vocation. In his spare time, he began incorporating ideas for costumes and backdrops from western fashion magazines. The passport photos of his clients were extraordinary. Their clothes and exotic backgrounds "transported them...and (took) them to a place they weren't able to get to themselves." Fosso realized he could do the same for himself. His vanity soon took over and he wound up archiving images of his good looks. 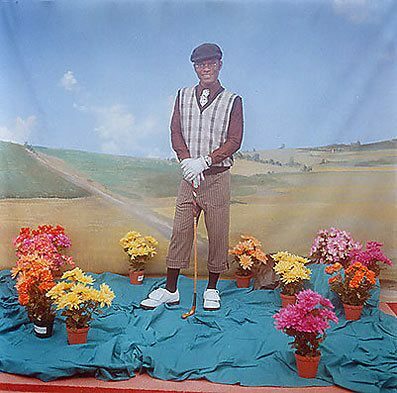 When viewing his subjects (a pirate, a woman dressed for a night out, a golfer in knickers, a martial-arts black belt, or a flight attendant) it is hard to discern that Fosso himself is the character in every picture. 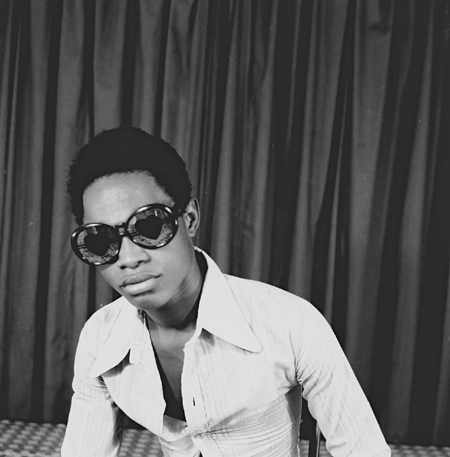 Fosso was discovered in the early 1990s by a Frenchman organizing an exhibit of African photography who was shocked to find decades of images in his studio. 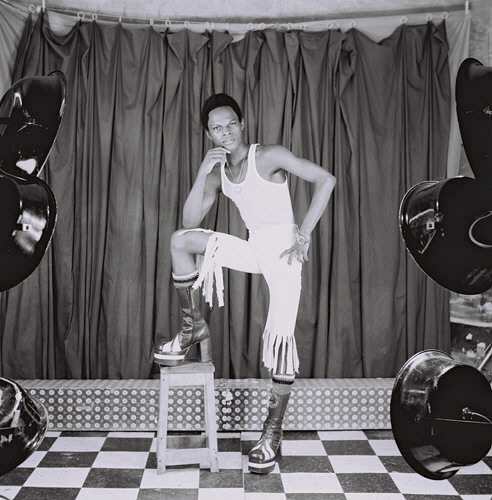 While isolated in Africa for 20 years using his outrageous costumes, it is remarkable that Fosso's work touched the same issues of disguise and sexuality as two prominent contemporary photographers: Cindy Sherman and Nan Goldin. Fosso claims to not be concerned with the attention he receives; he is only interested in "trying to make himself as handsome as possible before taking a self-portrait." Currently, Fosso is part of an exhibition at the Andy Warhol Museum in Pittsburgh. The show focuses on three artists who explored gender identity during an era when family values dominated. 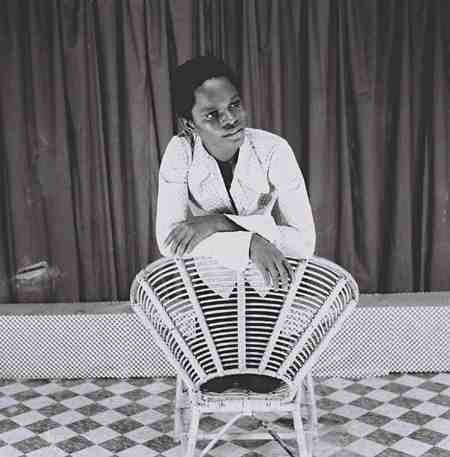 Fosso's photographs are owned by such institutions as the Metropolitan Museum of Art, Los Angeles County Museum, the Studio Museum in Harlem, the Georges Pompidou Centre in Paris, and the National Graphics Institute in Rome. To this day, his community in Bangui only knows him as a passport and portrait photographer. Fosso keeps his backdrops and costumes out of site. Both color and black-and-white photographs are available. The small format, editions of 12, is either 20"x20" or 24"x20" and the large format, editions of 8, is either 40"x40" or 52"x40". Some images are sold out but there are fantastic pieces from the 1970's still available. Fosso's smaller format is $3,000-$5,000 and the larger pieces are $6,000-$9,000.